Iyengar can’t be sure about his calculations because he doesn’t know the parameters of the device. The ratio of Mn54 to Ce144 shows fusion took place in excess of fission. If so sure, why doesn’t DAE make public the video recording of the ground motion during the test? Pokhran-I yielded 8 kt. So, total yield at 4.45 times works to 36 kt. Since DAE assigned 12 kt for fission device, leaves only 24 kt for TN one. Says only 10 per cent of LiD fusion material burnt. His formula was confirmed by S.K. Sikka, then head of the BARC design team. Recent revelations by Dr K. Santhanam, who was the field director during Pokhran-II, have once again brought into focus doubts regarding the thermonuclear test of May 11, 1998. Thermonuclear weapons are crucial to a credible deterrent because they are much lighter than fission weapons and therefore more suitable for deployment on missiles. Thus, fission weapons are sufficient only if your deterrence is restricted to targets located close to you. By contrast, thermonuclear weapons are not only lighter but also have explosive powers ranging from tens of kilotons to megatons, all coming largely from Lithium (Li) which is much cheaper than the plutonium used in the fission process. True, a thermonuclear explosion has as its trigger a fission device, but here the quantity of plutonium required is much smaller than in a purely fission weapon of comparable yield. Minor variations in the site geology of the ’98 tests couldn’t have accounted for reduction in yield by half compared to ’74. The basic design of nuclear devices must be validated through underground explosions before weaponising, underlining the necessity of being absolutely sure that the test carried out is beyond any doubt. Therefore, considering the doubts over the Pokhran-II tests, what’s at stake is the credibility of our nuclear deterrence and, even more importantly, of our strategic decision-making process. No one understands this better than the armed forces, who will be the users of these weapons. Since it’s they who are responsible for national security, they must be convinced about the success of our nuclear tests and our nuclear deterrence—not politicians or bureaucrats. By all accounts, they don’t seem to be in the loop. At a press conference on September 24, 2009, the principal scientific advisor to the government, Dr R. Chidambaram, and the chairman of the Atomic Energy Commission (AEC), Dr Anil Kakodkar, sought to address the ‘doubts’ raised by Dr Santhanam about the efficacy of the thermonuclear (TN) test. Were their clarifications adequate? First, the Department of Atomic Energy (DAE) claims that the combined yield of the fission and TN devices tested simultaneously was around 57 kilotonnes (kt). Dr Santhanam, who was in charge of the measurements at the site, claims that the S2 (shaft-2) site in which the fission device was detonated gave a yield of 25 kt and the TN device in S1 gave much less. International seismologists, with rich experience in operating a sophisticated seismic array, all converge on a total yield not greater than 30 kt. The DAE claims that the fission device yielded 12 kt and the TN device 45 kt. It isn’t scientifically possible to reconcile these two claims even though the then NSA convened a meeting to resolve this issue. The volume of the disturbed zone is assumed, not measured, thus resulting in an error of +/-20, not +/-10 per cent. 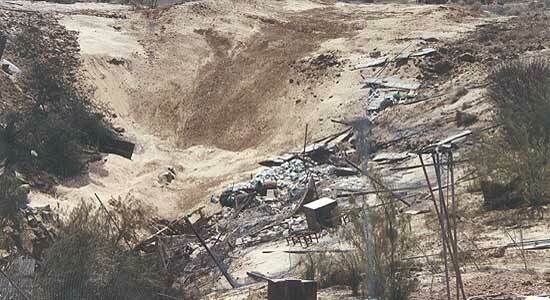 Santhanam’s revelations confirm that the fission device created, as expected, a crater similar to that of Pokhran-I. It’s clear that the shock intensity reaching the ground in the S1 shaft was certainly weaker and was due to the much lesser yield of the TN device compared to what is being claimed. Video recording of the ground motion could confirm the poorer upthrust of ground, but neither the DAE nor the Defence Research and Development Organisation (DRDO) has released this for the public. Third, one of DAE’s estimates was made on the basis of a comparative study, giving the yield of Pokhran-II relative to that of Pokhran-I. The rationale for this is that since the location was almost the same, many of the uncertainties regarding the soil composition etc could be removed by such a calculation. The Bhabha Atomic Research Centre (BARC) calculated that the Pokhran-II yield was 4.45 times the Pokhran-I yield. (Others estimated it to be only 2-3 times.) Taking the Pokhran-I yield as close to 8 kt, as I know it as its project head, the total yield of Pokhran-II works to only 36 kt, leaving only 24 kt for the TN device (since the DAE claims 12 kt for the fission test). This is closer to the international evaluation, though slightly higher. What was the depth the devices were kept at? After Pokhran-I, we declared it to be 107 m. Why is it a secret for Pokhran-II? Fourth, the DAE concedes that the TN device consisted of a boosted-fission trigger and the secondary fusion core. There was also probably a fission ‘spark-plug’ in the core of the TN device (and I say this because this would be a sensible, conservative design for a first TN device; in which case some energy would come from it too. But this hasn’t been revealed). So, part of the TN yield would have come from the boosted-fission trigger and part from the fusion burn. In 2000, I had liberally estimated this ratio to be 1:1. This was later agreed to by Dr S.K. Sikka as well, who was the scientific head of the BARC design team. With this number for the thermonuclear burn—12 kt (the other 12 kt coming from the fission trigger in that 1:1 ratio)—I have calculated that only around 250 gm of the LiD (Lithium-6 Deuteride) fusion material would have burnt. I know for sure that the BARC has the means to make highly enriched Li-6 from 1970. This amount of LiD translates to a core size of around 4 cm in radius, too small for a realistic size of an LiD core. It’s more likely that around 2 kg of LiD (8 cm radius) was used, in which case the burn efficiency would be around 10 per cent. The core’s shape could have been different from spherical. Fifth, the DAE has quoted the radiochemical method as an accurate method of estimating the yield. However, it depends upon where the sample came from, and the methodology used. In an unreviewed paper by BARC published in the BARC Newsletter, where even scales are not marked on the graphs, they have claimed 50 kt as the yield (for the TN device), with an error of +/- 10 kt. This error range clearly shows that the methodology is suspect. In the case of atmospheric explosions, one could pick the samples from the very centre of the device and thus be more accurate. For the fusion device, one has to rely on the activity produced by fusion neutrons. This is difficult because a good part of the fission neutron spectrum also produces the same radioactive isotopes, thus complicating the problem. BARC scientists themselves agree that there are uncertainties regarding the volume of the disturbed zone which is assumed and not measured, thus resulting in an error of +/- 20 per cent. I have therefore very little faith in this radiochemical analysis, a view which is corroborated by senior retired radiochemists. For the same amount of energy release, there would be 12 times more fusion than fission events. The fission product Ce144 (Cerium-144) is a small fraction of the fission fragments. The fast fission neutrons and the 14 MeV (million electronic volts) fusion neutrons both produce Mn54 (Manganese 54). The ratio of Mn54 to Ce144 therefore does not necessarily prove that fusion has occurred in excess of fission. The gamma ray spectrum does not prove anything. It only shows that the detector has good resolution irrespective of how the Mn54 was produced. There are other questions to be asked. For example, what was the depth at which the devices were placed? After Pokhran-I, we immediately declared the depth to be 107 m, since this had nothing to do with the design of the device. Why is it that information about Pokhran-II being kept secret? Secondly, were any measurements made of the tritium concentration at the site? If the boosted-fission trigger worked, then the lithium in the LiD would have been converted to tritium by the neutrons. If the fusion worked as designed, the tritium would have fused with the deuterium and formed He-4 (helium-4). Therefore, a large tritium concentration left behind would suggest that the fission trigger worked, but the fusion part is suspect. These grave doubts about the efficacy of the TN device should be cleared before any attempt at weaponisation. It’s imperative that the government responds to this crisis immediately, with a detailed, if necessary confidential, review by knowledgeable experts. It’s said that the AEC has already conducted this review. While the AEC comprises very distinguished bureaucrats and scientists, I’m sure that none of them, except Dr Kakodkar, would call himself an expert on nuclear devices or even nuclear physics. Others argue that it would be unwise to rake up the issue now, embarrassing as it is for India. Isn’t it worse to build a nuclear strategy on foundations that are suspect? Did anyone measure the tritium concentration? A large concentration would mean the fission trigger worked, fusion was suspect. The Pokhran-II controversy also raises issues about the nature of our policymaking. Plurality of opinions and inputs is essential to the democratic process and for correctly assessing situations and taking the right decisions. This ethos is present in most areas; that’s why we are a nation of committees! But when it comes to strategic matters, particularly in scientific matters, there’s a deplorable tendency, in the name of secrecy, to listen to only one opinion. The earlier statements of Brajesh Mishra, and even Prime Minister Manmohan Singh, only reinforce this impression. The problem is exacerbated by the growing interference of politicians in scientific matters, and perhaps by the growing politicisation of science and scientists. Consequently, you have an impenetrable nexus, which makes scientific decision-making impossible. 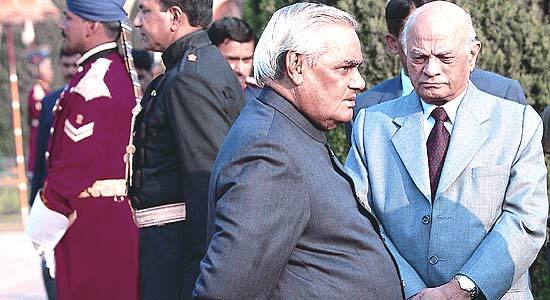 Before Prime Minister Atal Behari Vajpayee declared India as a weapon power and announced no first-use and a unilateral moratorium, he and his advisors should have satisfied themselves by referring to experts and not gone entirely by the claims of the two scientists, Chidambaram and A.P.J. Abdul Kalam, particularly after the DRDO raised doubts. Instead, those doubts were buried without being given a scientific hearing. The government also seems to have used those two scientists to bring about a softening of political opinion on the Comprehensive Test Ban Treaty (CTBT). Weapons design and testing is a specialised field, but it isn’t an exclusive club. Much of the information is available openly nowadays, in books and on the internet! Also, there exists sufficient expertise within the county to do a genuine peer review of the thermonuclear test, which will be in the best interest of the nation. In the broader policymaking context, I propose that the government should immediately form a special advisory group of experts outside of the administration, and therefore uninfluenced by government, but having a central advisory role in decision-making in sensitive strategic areas—like the JASON committee in the US. Of course, it would be easy for the government to constitute this group in a manner that serves its own purposes, but it should realise that it is in the nation’s, and therefore ultimately in the government’s, best interests that such a group is genuinely expert, independent, and unafraid. 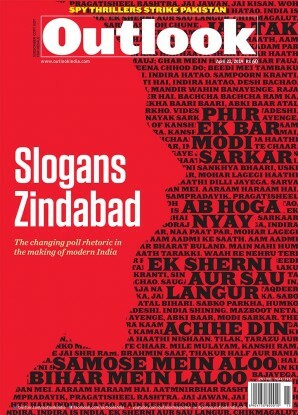 Governments should realise that though they may have strong political compulsions to act in one manner or another, when it comes to science and technology, individual opinions and diktats don’t matter, and only objectivity and an open-minded approach can find the best way forward for the country. I can foresee that in the near future the government may have to take decisions on nuclear policies which will have grave consequences for India’s future.